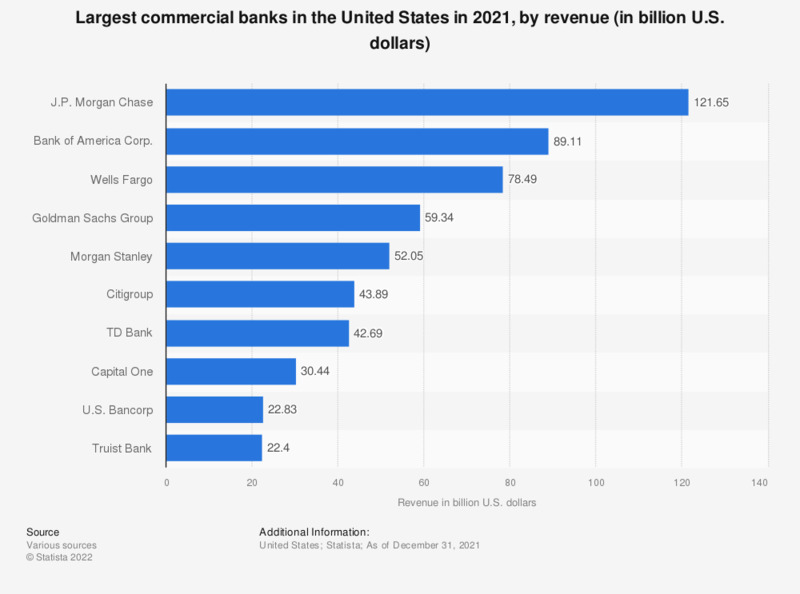 The statistic presents the leading commercial banks in the United States in 2017, by revenue. In that year, Citigroup was ranked fourth, with revenues of approximately 87.97 billion U.S. dollars. Citigroup is an American multinational investment banking and financial services company with headquarters in Manhattan, New York City. In 2017, the assets amounted to 1.84 trillion U.S. dollars. Revenues are as reported, including revenues from discontinued operations when published. Fiscal year ended on or before Jan 31, 2018.